The monitor game is giving birth to newer and better products now and then. Currently, the craze is all about 4K with slimmer profiles, improved panel technologies, dazzling extras and peripherals, and until recently, USB Type-C compatibility. A whole new front opens with this technology, and it looks like Lenovo, wants to join the fray with their ThinkVision X1. Sporting an 11m thin aluminum chassis, a borderless display, plus unique features the company guarantees to provide meticulous consumers with a praise-worthy product. There are other super thin monitors out there with great looks, but what highlights this model from the others is its USB Type-C compatibility which will allow it to connect to enabled devices such as the 2016 MacBook Air and act as both a charging dock and a power source for the gadget. At the moment there are a limited number of monitors that support USB-C. Another great USB-C monitor is the ACER H277HU. You can also check out our LG UltaFine 5k review and LG UltraFine 4k review. Lenovo created the ThinkVision display in with an industrial but sophisticated them, regularly seen on their Think series of products. The X1 has a black aluminum frame instead of plastic, giving it a sturdy feel despite the 11mm thin cabinet. Upon viewing this product on the front, you will immediately notice the absence of actual bezels on the screen, which also contributes to its modest dimensions when compared to other 27 inch monitors. The material used is also ideal for electronics since heat dissipates faster from them, but is not common across several ranges since using Aluminum can add a hefty price premium. The stand is in a wine glass shape, with a circular base and a slim neck offering only tilting adjustments. Most of the slimmer monitors are limited in articulation since the thin cabinets cannot hold a lot of attachment points for complex mechanisms. Although this part detaches as well, so users can opt to apply aftermarket VESA mounts. The X1 features a vast range of connections options aside from the notable USB Type-C port. There are HDMI 2.0 ports, DisplayPort, and four USB 3.0 receptacles for convenience. These are features we see on a regular basis, but the addition of USB-C enables users to utilize this product as an external display or charging dock for gadgets with compatibility such as the MacBook 2016 or Google Chromebook 2016. Soon, we may see even more computers with support for Type-C tech, so having this option adds a certain level of being future-proof. Aside from the features mentioned above, Lenovo also integrated a 1080p webcam that rides on a swivel arm from the side of the bezel. This accessory enables the user to manipulate capturing positions of the camera to suit most needs. It also features a LED light and a dual-array microphone integrated into the device, along with a privacy cover for the lens so no one can take a peek if you don’t want to. There are also two 3-watt speakers with the product, and they are in a soundbar configuration under the bottom bezel instead of the usual sides or rear placement in popular offerings. The grill contributes to the industrial appeal of the X1, although like most built-in speakers, they sound tinny and lack the oomph most would want to have. 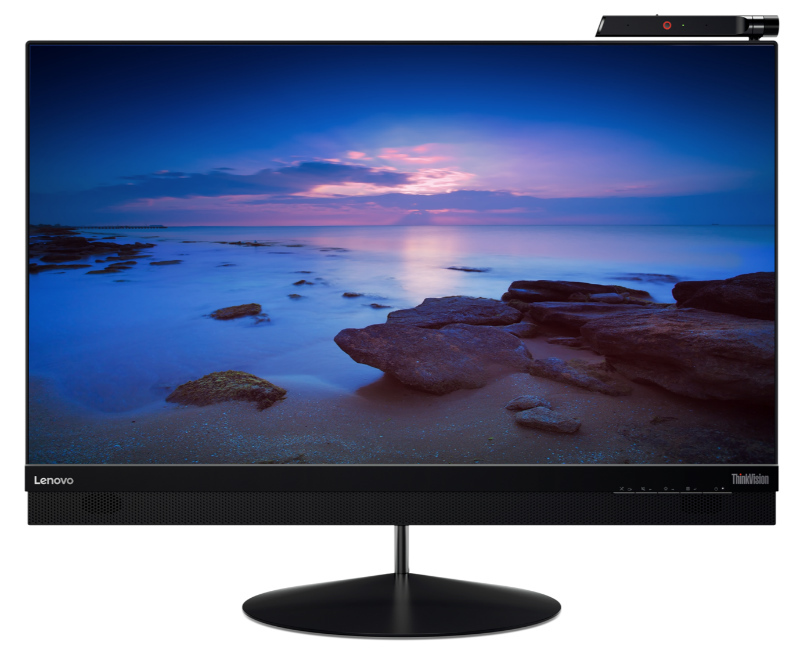 Like most of the USB Type-C monitors currently out in the market, the ThinkVision X1 carries a 27-inch IPS panel with 4K resolution and 60hz refresh rates. The resolution and size equate to a pixel density of around 157PPI, so details are sharp and crisp, but for some small icons and words, scaling may be required. Colors and contrasts are shaping up to be pleasing as well since the screen has a 100% coverage of the sRGB color space, and contrast sets at a 1300:1 ratio, which if entirely accurate is much better than the typical 1000:1 we see on regular IPS products. PBacklighting is quite bright for the X1, and its adjustment ranges should allow for versatile tweaking to capture the best viewing experience you can get out of the product. There is nothing rather unique about the panel itself, but judging from the professional market aim of the product, Lenovo focuses on utilization rather than visual performance. This series of offerings are meant for usages such as front desk computers or as an instructor tool in a high-tech classroom. One thing unique about this product is it’s TUV Eye Comfort Certification, making it the first display product to gain such a distinction. TUV Rheinland, the organization who owns this certification, mainly specializes in safety precaution standards for some different industries including construction, material testing, and management systems. Their involvement in the development of this product’s line dictates that the blue light filter, flickering, and glare or reflection characteristics are all under a set level they have formulated for a comfortable and safer operation of products scrutinized by their committees. The actual numbers are unknown to the public, but we may soon become aware of how this works since it may start another revolution in monitor safety. We currently only have a limited set of information about the ThinkVision X1, but our initial impressions suggest that this product was meant for the industrial or business sector of consumers in the digital market. We may end up seeing the X1 as factory control displays, on concierge service desks or even in schools where the design of this product applies more than it does at home. The monitor is quite expensive too since it currently commands a painful $800 price tag. There are cheaper 4K monitors with USB Type-C compatibility out there, but if the included accessories fill a gap in your needs, then the ThinkVision X1 may be a good fit. You can’t find some of these proprietary features in others products, so if you can get it, you might as well. On the contrary, availability is also limited. We suspect that Lenovo would rather supply this product as an OEM rather than a direct one since most of the users in the business sectors would opt to order directly from the company itself. 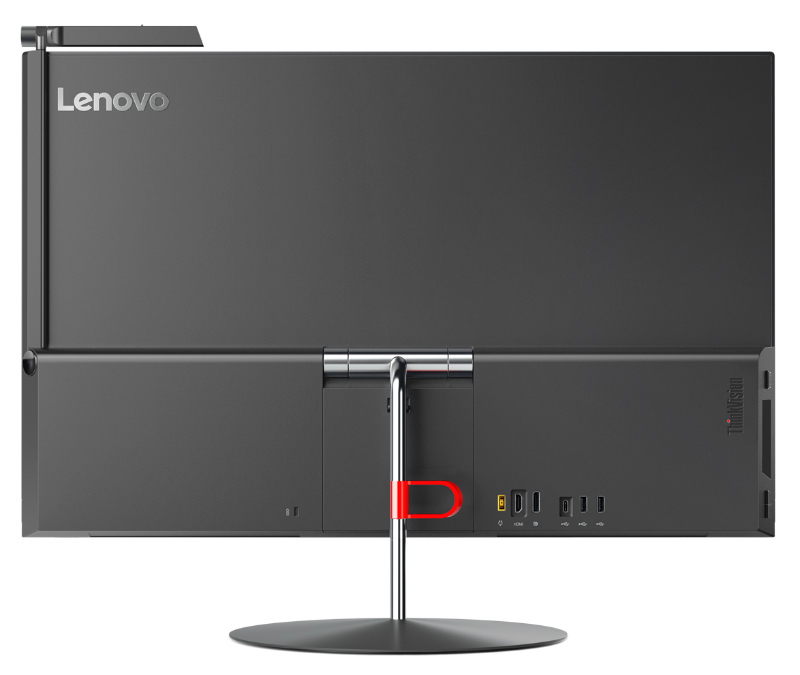 Hi I am looking at Lenovo X1 to be the external Monitor for my iMac (Retina 5K, 27-inch, Late 2015). Could you please confirm Compatibility ? Hi, Seshu! Yes, the Lenovo X1 is compatible, but we’re afraid that it’s phased out everywhere. Does the monitor support daisy-chain? I want to hook up Macbook Pro with USB-C to monitor and then connect another monitor with DP so that I cet fusl monitor. I really hope that the DP support 60Hz…? Do I get USB-3 bandwidth if I am connect with USB-C at 4k..? I just purchase this monitor to use with my M910t ThinkCentre. Considering the price I paid it does not even come with a user manual to show you how to operate the features on it, ie. camera and microphone. The manual it provides just show you the features and parts to reorder. Try to get lenovo to show you and they charge 199.00 to provide you help. Yet, it will not provide you a manual that show you how to operate the monitor. I am disappointed. This is not the Lenovo support I am use to over the years. Why do I have to pay out additional money to find out how to use the product when they don’t even provide a user manual that will explain how to use it. Hi John, that is unfair practice from any company. Click this link and see how it helps, it’s a PDF version of a user guide. Good luck! does it have the ability to split into multiple screens? Hi Rob, i think you might want an ultra-wide if you are after a model which can do screen split for your needs. While the screen itself is good, and it offers USB-C charging + speakers + camera, the monitor clearly has not gone through a thorough testing/usability review. Tiny irritations like the sound volume keeps resetting to 30%, cannot be set from the PC, and the volume button on the side takes forever to raise it to ~70%. The screen cannot operate in full HD with USB 3.0 (very unexpected), and offers a special button to switch between USB2 w/ HD, and USB3 w/ low res – but it keeps forgetting the setting, so I have to reset it manually, and on top of it, Ubuntu 17.04 semi-crashes on switch. Windows experience is not much better. It takes very long to warm up. It often does not detect that USB-C laptop is now connected, and I have to hit source selection button. The camera on a swinging arm is nice, but mostly useless – its on the side of the screen, not in the middle. One good thing is that it can be blocked physically. Kudos for privacy. The light bulb in camera is very dim. In short – a big disappointment, for both Linux and Windows users. I use it with Dell XPS 13. Hi, Yuri! we’re sorry to hear the troubles you are experiencing with the Lenovo X1. Did you report these issues to customer service? we suspect that this is likely similar to the first release jitters on other USB-C monitors out in the market. Also, judging by shipping dates (mine was on backorder in May 2017), compared to the firmware (2/16/2016), the monitor is the latest and “greatest”. I will contact customer service, but I am pretty sure a new firmware will be needed, so until that comes out, I doubt much will change. Thank you for sharing feedback, Yuri! Let us know how it goes once you finish talking to their CS. 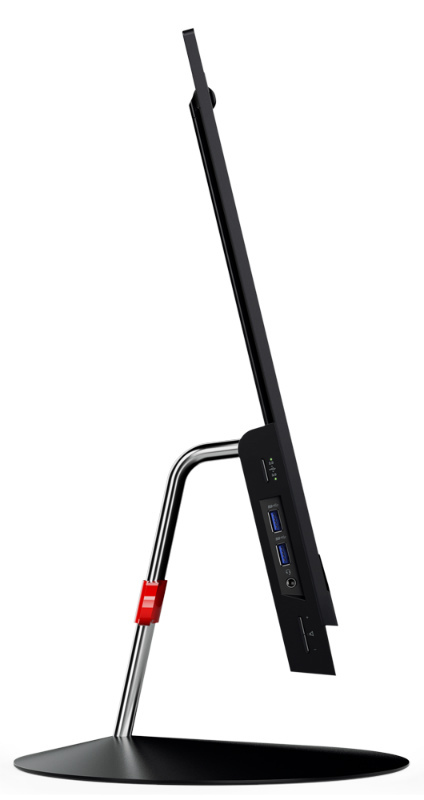 Does it fully works (webcam, 4k at 60Hz, supply charge) also with MacBook Retina 12″? Hi, I am trying to connect from 2017 MacBook Pro using the USB-c to USB-c cable, but I don’t see the display. I had to use a USB-c to HDMI adaptor and connect to X1 via HDMI port, by doing this I could the mirroring image coming in Monitor. However, I get 30 Hz at 4K and also the webcam is not accessible. Am I missing something, I used the cable provided by Apple to power up the MacBook. Please help. Hello, Madhesh! the provided USB-C cable with the MacBook Pro was not meant for anything other than charging the device. Try an aftermarket USB-C cable instead.